Transportation – Vienna public transport network takes you quickly to EMIV@Laudon Palace. Discover Vienna – Find inspiration for your art discovering Vienna! Marc Grauwels has inspired some one hundred composers from all over the world to write especially for him. To name but a few: Ennio Moricone dedicated to him the flute solos in his “Cantate for Europe” while Astor Piazzolla dedicated to him his “History of the Tango” and more recently the Greek composer Yannis Markopoulos likewise dedicated his flute concerto to him. This flute concerto served as one of the inauguration musics for the Olympic Games in Athens in 2004. Even before having finished his musical studies in his country he made his orchestral debute, aged only nineteen, with the Flemish Opera. 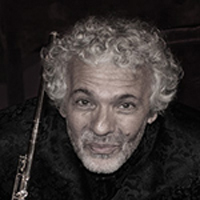 In 1976 he joined the Monnaie Theatre in Brussels as piccolo solo (the Belgian National Opera House) which he left in 1978 to become first flute soloist in the Symphonic Orchestra of the Belgian radio and television. He stayed for ten years whilst being chosen for the same position in 1986 at the foundation of the famous “World Orchestra” directed by Carlo-Maria Giulini. His career as a soloist was to soar in an impressive way from then on which would entail his definitive departure from the orchestra in 1987. In the same period he taught for fifteen years at th Royal Conservatory of Brussels and today he holds a chair as titular professor at the Royal Conservatory of Mons. Since 2007 Marc Grauwels plays exlusivly Gold Miyazawa Flutes made specially for him and is Official Endorser for Miyazawa. Program and Preparation: the international concert repertoire. At least 3 works by different composers, one work from Viennese Classics. Qualification: adequate mastery of the instrument. Please send in a web-based tone/video document along with your application. 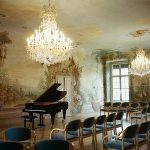 International summer academy for young musicians in Laudon Palace, Vienna. Master Courses, Opera Studio, Concerts, Education, Workshops, Lectures and more.